That we've ceased to reach. But it's dim and not pitch black. If our God is for us how can we fail? When they lay a hand on? Learn how to fight from words on a paper. To halt the mass abduction. Evangelical mind has been scandalized. No truth in a world that is randomized. Expose the lies no matter how they're disguised. Lyrics written by Matt Morginsky. Music written by Tony Terusa, Matt Morginsky and The O.C. 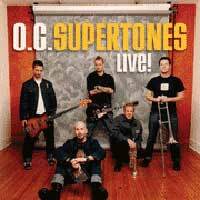 Supertones. Arrangements by Tony Terusa, Matt Morginsky, and Brian Johnson. © 1999 We Own Your Songs(SESAC). BEC Recordings.